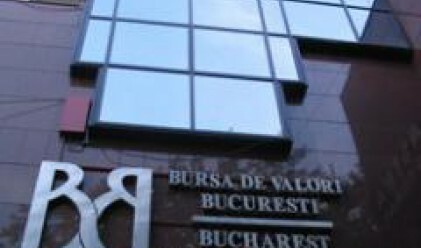 The value of the top 100 companies on the Bucharest Stock Exchange has dropped 37% in the past nine months, from 36.6 billion euros to 23 billion euros, as the market has been facing the worst decline of the last decade, Ziarul Financiar reported. Since mid-July 2007, when most of the companies listed on the Bucharest market peaked to all-time highs, the capitalisation of the top 100 stocks has lost more than 13.6 billion euros, going down to the 2006 or even the 2005 levels, in some cases. The plunge mainly hit the medium and small companies, which dropped 50% or even more, whereas Petrom, BRD and Banca Transilvania, three of the top four companies on BSE, lost 27% on average. The value of the top four companies on the market has decreased, on average, by 5.8 billion euros in the last nine months, from 20.4 billion euros to 14.6 billion euros. Also, the rest of 96 companies in the ranking have lost 7.9 billion euros, as their capitalisation dived from 16.2 billion euros to 8.3 billion euros. Analysts feel that the steeper declines posted by medium and small companies on the Stock Exchange were triggered by their more speculative nature, but also by the lower liquidity, which made it difficult for massive-selling investors to find buyers. "Blue-chips also attract another type of investors, namely institutional investors, which don't panic so easily. In the case of Petrom, another explanation may be that, since it is an integrated company, it is not so sensitive to macro factors. Banks have historically enjoyed support from investors that trust the banking system," says Andrei Anghel, analyst with the Confident Invest brokerage. Other analysts say that the stocks' liquidity played a major role in the way some companies bore the market downward trend. "Volatility is higher when liquidity is lower. When in a favourable context, small companies grow more, whereas in a state of panic, they lose more," states Adrian Danciu, head of the analysis department from Broker Cluj. He feels that the improved results posted by the banking companies have supported their quotes. "I believe that in the case of BRD, Banca Transilvania and Petrom, the outstanding results posted in the banking and in the oil system mattered greatly," Danciu says. The SIFs shed half of their value, a trend for which analysts have identified multiple causes, from their financial profile in the context of an international crisis to the declining value of the companies where they hold stakes. "The SIFs' value is mainly reflected in the net asset, which has dropped steeply in the last period, as their stakes have seen their value go down significantly. Also, I believe that foreign funds, given the international crisis, have set out to reduce exposure in this field, which was the worst hit, and in the emergent markets, such as ours," says Andrei Anghel. Severe plunges were also registered by Transelectrica and Rompetrol Rafinare, which shed 55% of their value, whereas the capitalisation of real estate developer Impact lost more than 70%. Companies on RASDAQ market posted even greater losses, as the investors' interest in this market has waned.